2013 Honda Accord EX-L automatic 4cyl with only 81k miles! This accord runs and drives great, and need absolutely nothing. The exterior of the car is in great shape, with no scratches or dents, and the interior leather has no signs of wear and no stains or anything on the carpets. 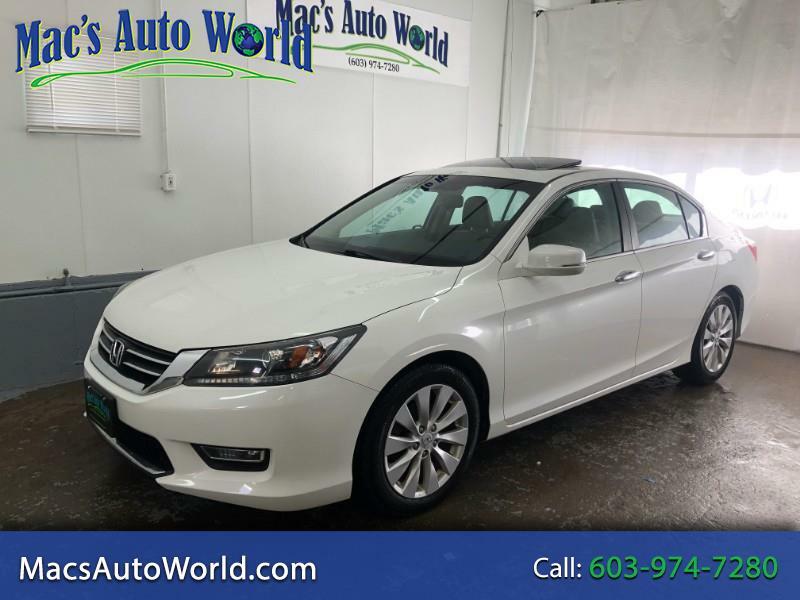 This Accord is a pleasure to drive and loaded with all the options including bluetooth, back up and lane change camera as well as full power and heated leather seats! The car has been fully serviced and comes complete with our Mac's Auto World warranty as well as approval for any of our extended plans up to 5 years! To see other great deals like this one, or to apply for low interest financing, visit us at www.macsautoworld.com or stop by today! !